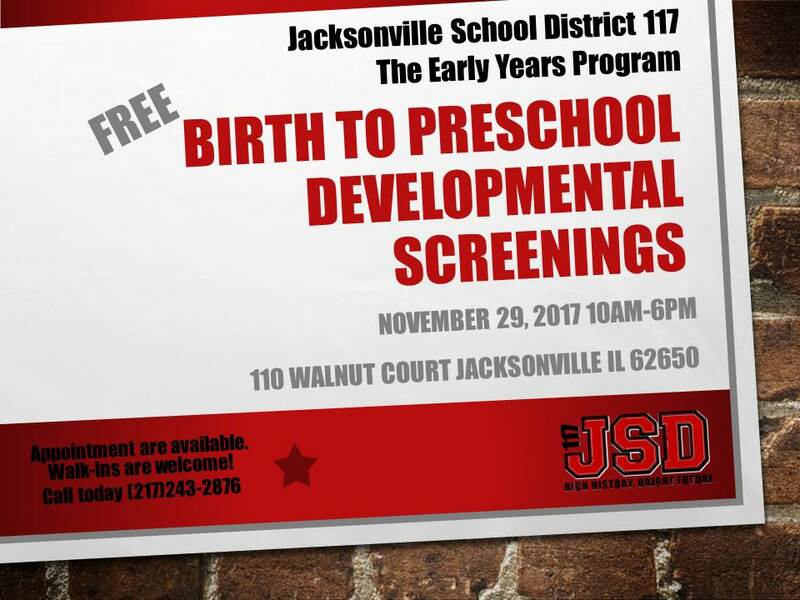 Come to the Early Years office for a free developmental screening of your child aged birth to age 5. Our Parent Educators will be here to administer the screening tests and answer any questions you may have about our Preschool and Birth to Three programs. Appointments are available by calling our office at (217) 243-2876.